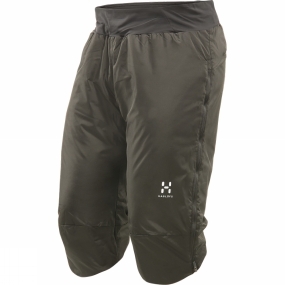 Insulated shorts, articulated at the knee and treated with fluorocarbon-free DWR for protection against the elements, that can either be worn under shell garments or as an additional outer layer. They stretch as you move, and are designed to be comfortable when layered with other garments. Long thigh zips make ventilation easy.